Jeremy and Katherine Medlen lost their dog, Avery, after he was picked up by Fort Worth animal control officials. FORT WORTH, TEXAS — A landmark local court decision last year allowing people for the first time to seek “sentimental value” damages for the loss of their pets has been appealed to the state’s highest court. A petition was filed last week asking the Texas Supreme Court to review this ruling, which has drawn praise from pet owners and concern from veterinarians, kennels and dog sitters statewide who fear this opens the door for pet owners to sue them for sentimental value rather than market value if something happens to their dog. “This sweeping change in animal law gives pet owners the potential for a greater damages recovery for the loss of their pets than is available for the loss of a relative or close human friend,” according to the appeal filed by Fort Worth attorney John Cayce, a retired 2nd Court of Appeals chief justice. “Although dogs are beloved companions, they should not be placed into this intimate familial category as a matter of public policy. At the heart of this case is the death of Avery, an 8-year-old Labrador mix who belonged to Jeremy and Katherine Medlen and their children. Two years ago, spooked by a late-night thunderstorm, Avery escaped from his family’s Fort Worth back yard and was picked up by city animal control. 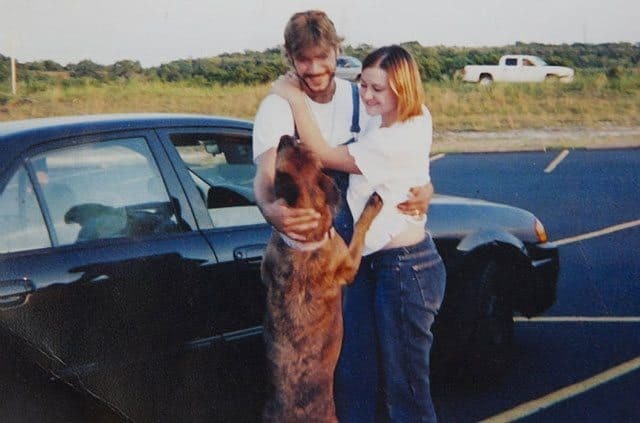 The Medlens found him at the shelter the next day, but through a series of slip-ups and errors — from not having enough cash on hand to take him home that day to having to wait until the vet could install a microchip in Avery’s ear — their dog was added to the euthanasia list and put to sleep. There had been a “hold for owner” tag on his cage. The Medlens took their case to court, saying they hoped to prevent something like this from happening to anyone else’s pet. In a groundbreaking court ruling in November, the 2nd Court of Appeals in Fort Worth ruled that a pet’s value is greater than its price tag. The court overruled a 120-year-old case in which the Texas Supreme Court ruled that pet owners could recover only the market value of their pets. Randy Turner, the Fort Worth attorney who is representing the Medlen family in this case, said he’s disappointed that the case is being appealed. He said he has heard that the legal bills for this appeal are being paid by special interest groups, such as veterinary medical associations, who hope to see the ruling overturned. Elizabeth Choate, director of government relations and general counsel for the Texas Veterinary Medical Association, based in Austin, said she couldn’t comment on the pending litigation or fee arrangement. But she said the case concerns a lot of people, such as veterinarians, kennel workers, even dog sitters. “We certainly sympathize with the plaintiffs in this case and understand how the family” would seek justice, Choate said. “But it’s easy to see how this case could impact a lot of people” and how “unintended consequences” could create problems for those in the animal business in Texas. “We obviously don’t agree with this ruling,” she said. What people need to realize is that the biggest group fighting AGAINST animal well being is — guess who? — veterinarians. They will do anything to keep the public enslaved to their wishes to make more and more money while they harm and kill our pets with absolutely no accountability. This is a law whose time has come. I pray that the vets will fail in their attempts to be able to do whatever they want to people’s animals without any consequences.